Leonard Gray was born in St. Ignatius and raised in Hot Springs. He graduated from school in Hot Springs and started a seven-year career as a professional jockey racing horses. 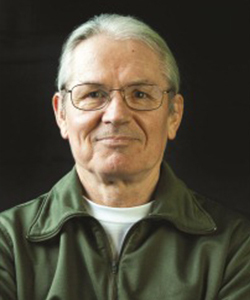 Afterward he attended Salish Kootenai College and earned bachelors in human services. He began working for CSKT in the Personnel Office helping displaced workers and eventually moved into the tribal legal system. He worked 13 years total in Probation, Prosecutors, and the Defenders offices. Leonard lives in Hot Springs on a small ranch where he was raised. He spends his spare time around horses. His two children are working, one in Alaska in social services, and the other in the Air Force.